A great way to begin the year is having your students share some of their summer adventures. This lesson plan is great for elementary students, and can be modified for younger or older students. Start by reading an age-appropriate book of a summertime experience. When selecting the book, try to keep in mind that everyone’s summer is different; many families don’t take a traditional vacation. The goal is to teach students respect for everyone, no matter what they did over summer break. Discuss how the weather is different in summer so we don’t have to wear coats, gloves or even shoes much of the time. Talk about no school and fewer rules, exploring the freedom of summertime and learning what it means to each student. 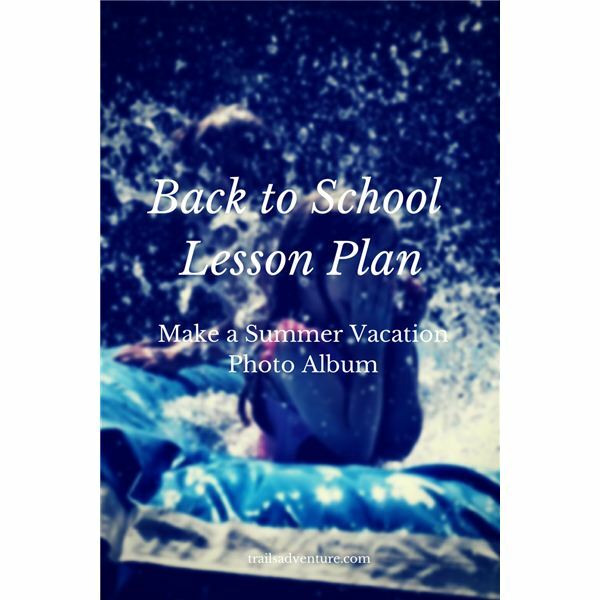 Tell the class that they will be creating photo albums representing their summer break and what summer means to them. Ask students to bring in a few photos of things they did this summer, brochures from places they went and some magazines. Use these materials have the students create three- to five-page photo albums telling the stories of their summer break. Encourage students to incorporate the magazine pictures, as well. If some students didn’t have a particularly memorable summer, ask them to create their dream summer experiences in pictures. Instruct the class to leave room to write captions explaining the photos. Once they have completed the albums, have them write descriptions of the pictures. If they are creating their dream summer, have them do the same imagining what would is taking place in the picture. Next, have students write a short story about their summer to go along with the photo albums. Make sure they include a clear beginning, middle and end. Have them write a first draft, edit and revise. The final step of this lesson will be a brief five-minute presentation of their photo album and an oral story presentation based on their writing. This is something students can keep to remember their summers for years to come and it is a great lesson on writing and storytelling, as well. Keeping lessons relevant to kids is one of the keys to keeping them invested in what we are teaching them at school. Kids love summer, and by incorporating this project you will also get a unique look into your students lives, needs and differences first thing in the year. Have fun with it!